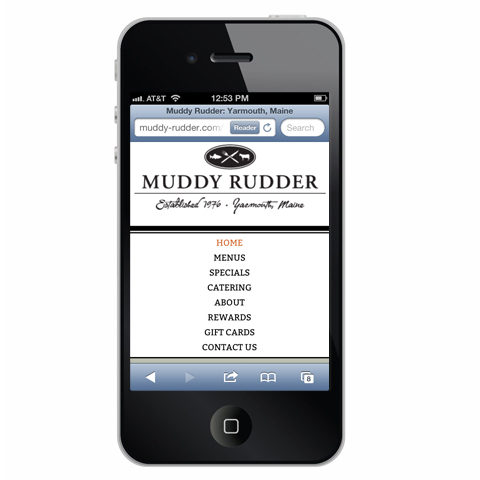 As part of a rebranding of the landmark Muddy Rudder restaurant, Visible Logic developed a web site and mobile version for the Muddy Rudder. 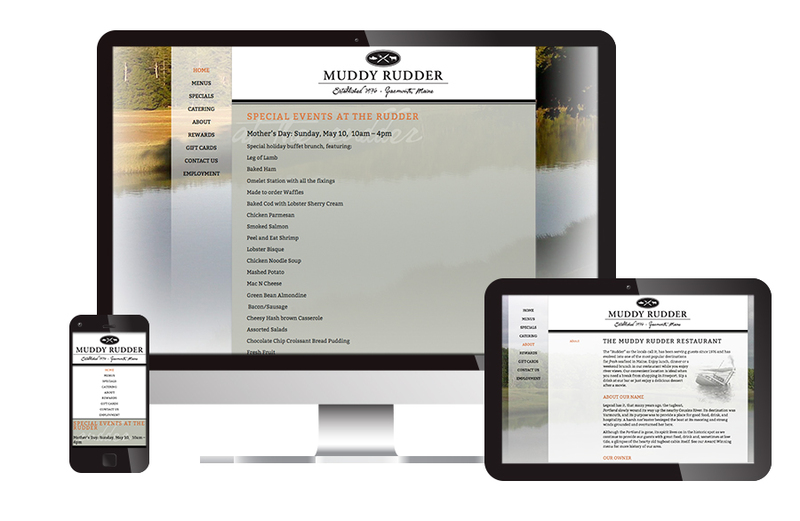 The new web site highlights the expansive views of the river that runs behind the restaurant (but is hidden from the street). All of the content is more accessible than previously. 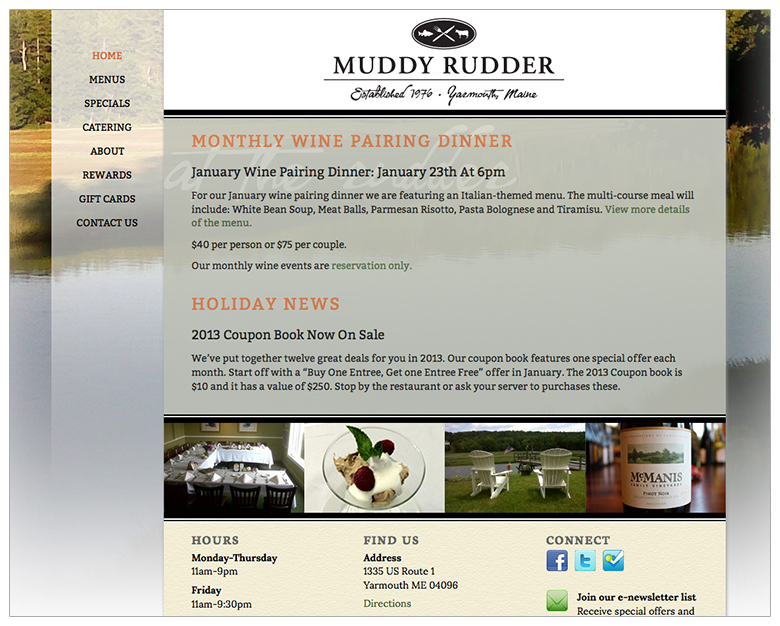 All critical content, such as menus, are live text easily readable by viewers (they had previously been PDFs) and we also created a mobile-optimized version of the web site. 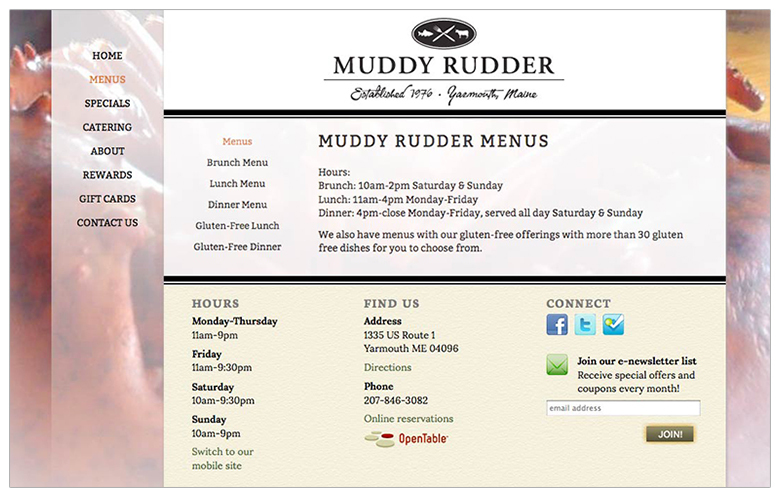 Read more about this web design project. Visible Logic also writes and sends their e-newsletter.